Harmon and three other prominent architects will discuss region-based urban design. November 16, 2010 (RALEIGH, NC) — The American Institute of Architects 2011 National Convention Education Advisory Committee and the AIA staff recently informed architect Frank Harmon, FAIA, that his proposal for a seminar entitled “Architects Discuss Region-Based Urban Design” has been selected as part of the AIA 2011 National Convention and Design Exposition to be held May 12-14, in New Orleans. 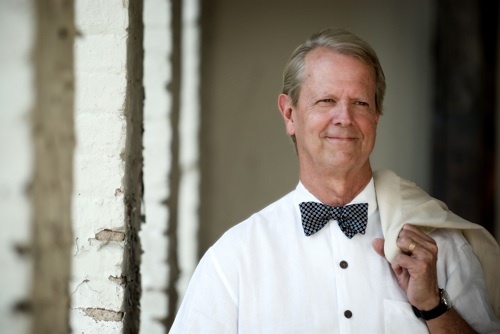 Harmon is founder and principal of Frank Harmon Architect PA in Raleigh, North Carolina. Joining Harmon on the presentation panel will be Coleman Coker, AIA, founding principal of buildingstudio in New Orleans; David Dowell, AIA, principal of el dorado inc in Kansas City; and Steve Dumez, FAIA, principal of Eskew+Dumez+Ripple, also in New Orleans. A regular speaker at state, regional and national architectural conferences and conventions, Frank Harmon has presented successful seminars during the 2005, 2006 and 2007 AIA National Conventions in association with Architectural Record magazine. He has also been a featured speaker at the Dwell on Design national convention and Residential Architect’s Reinvention Symposia. The exact date and time of Harmon’s seminar will be determined later. For more information on the AIA 2011 National Convention & Design Exposition, visit http://convention.aia.org. For more information on Frank Harmon visit www.frankharmon.com. Frank Harmon Architect PA was founded in 1985 by Frank Harmon, FAIA, who is also Professor in Practice at NC State University and the 1995 recipient of the Kamphoefner Prize for Distinguished Design over a Ten-Year Period. This year the firm was ranked 13th out of the top 50 firms in the nation by Architect magazine, an annual rating that emphasizes ecological commitment and design quality as much as profitability. Recent projects that blend sustainable architecture with stewardship of the natural environment include Duke University’s Ocean Science Teaching Center in Beaufort, the NC Botanical Garden’s new Visitors Center at UNC-Chapel Hill, and the Walnut Creek Wetlands Center in Raleigh. The firm’s work has been featured in numerous books, magazines and journals on architecture, including Dwell, Architectural Record, Architect, and Residential Architect. For more information, go to www.frankharmon.com.